Why did you become a copywriter? I have known since middle school that I have a natural ability to express myself in writing. 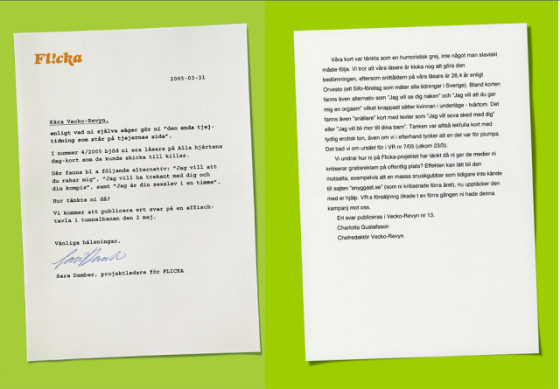 Despite that I had different plans for my professional life, to be a product designer, it wasn’t until I moved back to Sweden, after not completing a four-year engineering degree in London that I heard of Berghs School of Communication. I applied to both the art direction and copywriting programs, but in the end copywriting won. 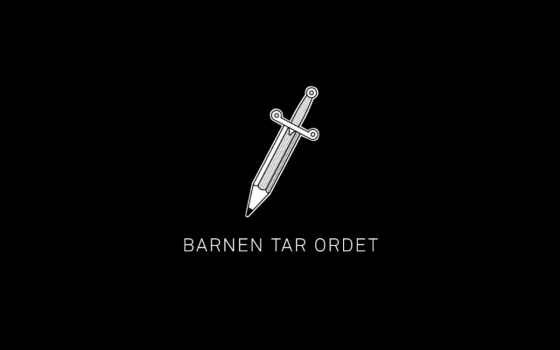 Digital campain for ”Berättarministeriet” a nonprofit organization dedicated to inspire children, aged 8-18, from areas of high unemployment to conquer the written word. 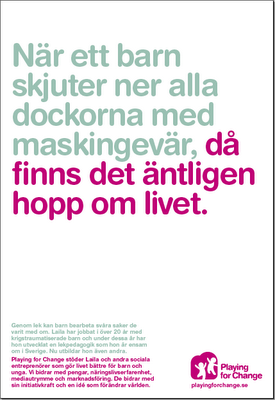 Since there is money for a traditional campaign, was an experiment where a sixth-from Hovsjö in Södertälje took over a hundreds of blogs and twitter accounts. 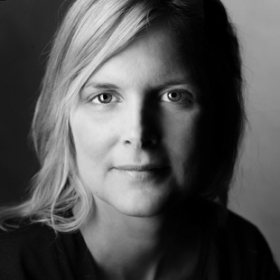 When we’ve looked for older female art directors in Sweden, we have found very few. How is it with copywriters? In my generation there are few female copywriters. When I was at Berghs School of Communication in the early 1990s we were as many women as men in our class, but in the end it didn’t make a difference. Though the male dominance is a problem in the advertising world, I think it’s heading in the right direction. There have been times in my career when I’ve felt a bit trampled, there still are, but I think you have to be able to withstand a bit of that in this business. It happens to all of us and you have to find a way to bounce back. Campain for Playing for Change, a foundation that supports social entrepreneurs who make life better for children. You once said that you’re often asked to be part of different forums because you’re a woman. This is something we can relate to. What are your thoughts on that? When I first became successes it was all of a sudden an advantage to be a woman. I could fill the female quota in a jury and a panel debate among other things, which has definitely helped my career. I used to think I got chosen only because I was a woman, not because I was qualified. I don’t think that anymore but that is really the only thing that has changed. Still, it’s unfair that exceptionally talented men don’t get the same opportunities. But then again, they have had it easier in other ways. Do you believe there is a universal language in advertising and that you don’t have to always take gender in consideration? I don’t think that gender always have to be considered since there are more important thing to think about. I myself am very critical when it comes to advertising, so I usually try to convince myself first. Then others are usually convinced as well, both women and men. I’ve received several pieces of good advice thru the years, such as being able to say no. That was my ideal for a long time, to set boundaries when there was too much work. But then I got the opposite advice. To say yes. It’s good advice, I think, especially for women. Not necessarily to say yes to everything, but to dare to accept an assignment that at first seems impossible. It’s what I try to do nowadays. »Flicka Girlpower« Outdoor Advert for Girlpower.